At the Montana Project we hold self evident that to be alive is to be artistic, it is who we all are; everyone can be creative, and creating art with others is fun! We have designed our ‘paint and sip’ projects to be contemporary, to be ‘loose’ and ‘tight’; loose so you can be creative, flick paint about and try new things, and then ‘tighten’ up the image with tools like stencils to make it a bomb-proof item you will be happy to hang on your walls. We create an atmosphere in our paint and sip nights of being creative and expressive, within a process that ensures you will be happy with the fruits of your efforts. Some say, it’s creativity catered. 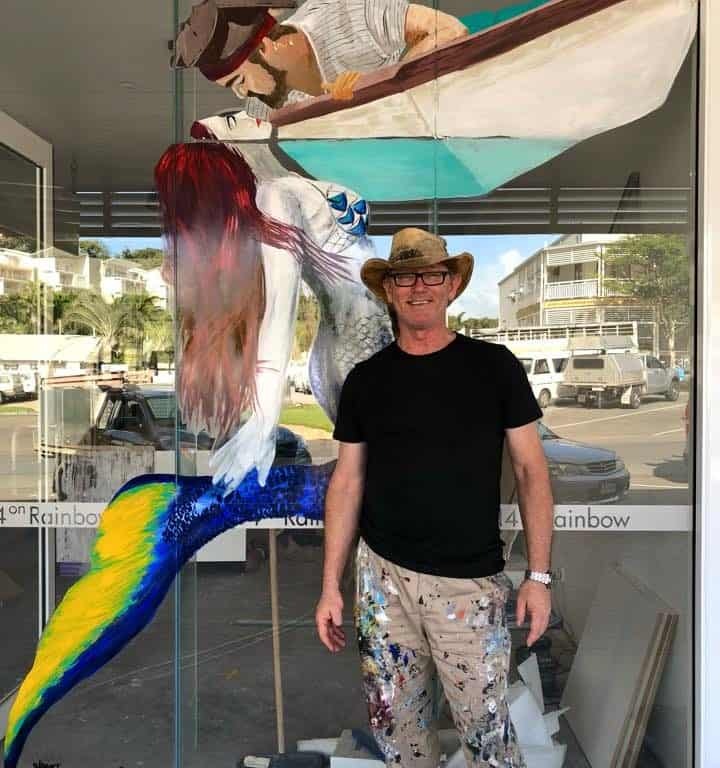 Stewart’s art career started with a healthy obsession with drawing as a child, developed through his anarchist years in the realms of street art culminating in his murals along Boundary Street and his art in galleries and businesses around Queensland. In his early years as a street artist Stewart used the initials L.D, for Little Dog, from the quote ‘Even a little dog can piss on a big building’. Stewart believes that street art is the voice of the little guy clamoring to be heard among the screaming advertising and paid editorial of the big guy. Visiting from Los Angeles, I was not a stranger to ‘paint and sip’ nights, but this by far was the best experience and art work I have ever made. What makes it so unique is that the artist uses stencils which makes it easy to follow and get your creativity on. You never feel intimidated like your’er not an artist, like me. I definitely recommend for friends, groups, date nights or family outings.